What to expect from URL's latest event. 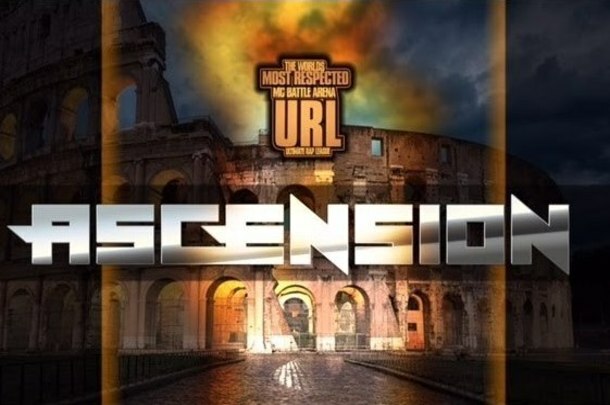 Today (June 11) URL will be putting on their Ascension event, featuring a mix of returning battlers, and emcees who are looking to solidify their spots on the platform. Many of the battles, up and down the card feature emcees who for one reason or another have either failed to find their foothold on the URL stage, or have fallen out of favor with the fan base. They say pressure either creates a diamond or turns you into dust, and with so many battlers under pressure to perform, hopefully we get a few gems. In the main event of the night, the always solid veteran Cortez, takes on Prez Mafia. For Cortez, this is really another day at the office. He's battled a virtual who's who in battle rap, and has generally acquitted himself quite well. Unlike many of the battlers on this card, this really isn't a make or break battle for Tez', as not only does he have a long battle history to fall back on, he's booked for URL's Double Impact 2, just a few weeks later. For Prez though, this really is a huge opportunity. Near the start of Prez's battle career in late 2013-early 2014, he had picked up a good deal of hype, with fans being very excited about the potential that he was showing. By the end of the year though, he had parted ways with URL and became a free agent. After taking a few battles on smaller platforms, Prez was exposed for lifting an entire verse from a 2007 song and using it in a battle. Obviously, this did significant harm to his standing in battle rap, and at that time it seemed as though a return to the top platform in battle rap was unlikely. Now, 3 battles into said return, Prez seeks to take his biggest step towards fully re-establishing himself in this battle. A convincing win against a respected vet like Cortez could do just that, so look for Prez to come out with something to prove. In a matchup of two Pennslyvania emcees, Bill Collector takes on Uno Lavoz. Though many were skeptical of Lavoz when he came over to URL initially, his first two battles, against Jae Laww and Young X were actually quite well received, and it had looked like he may have found a home on that platform. This came to an abrupt halt however after a poor performance against Cortez in a battle that URL to date have not chosen to release (it happened in 2015). Since this point Lavoz has been absent from the URL stage, and is looking for a strong performance to bring him back into the fold. So while Lavoz never quite got his footing on the URL stage, Bill Collector was at one time one of the most promising faces in the league. Part of the original (and in many eyes the best) PG class, Bill came on platform with much hype and fanfare. Despite his undeniable talent, his career on URL hit several speed bumps. From legal issues to public spats with URL management, the last few years have been a tumultous time for the Norristown emcee. With this being the second URL battle of the year for Bill, a good showing could help cement his return and lead to some bigger names in his future. In the trailer voiceover, Beasley referred to Young Kannon and Money Bagz as being a battle of two of the most underrated emcees in the culture. Underrated has to be a difficult label for a battle rapper, it's undeniably a compliment, the statement that they are more talented than their buzz would suggest, but at the same time, it begs the question, "if they are so talented, why are they so slept on?" Ascension is a name which will perfectly fit this battle, as both guys will be seeking to shed the label "underrated" with a dominating performance that forces fans to take note of them, and the next time they're booked for a battle, we're not calling them underrated, we're calling them top tier. The event goes down June 11 in New York City, and as always, BattleRapDotCom will be in the building. Check out the site for live updates if you can't make it out.